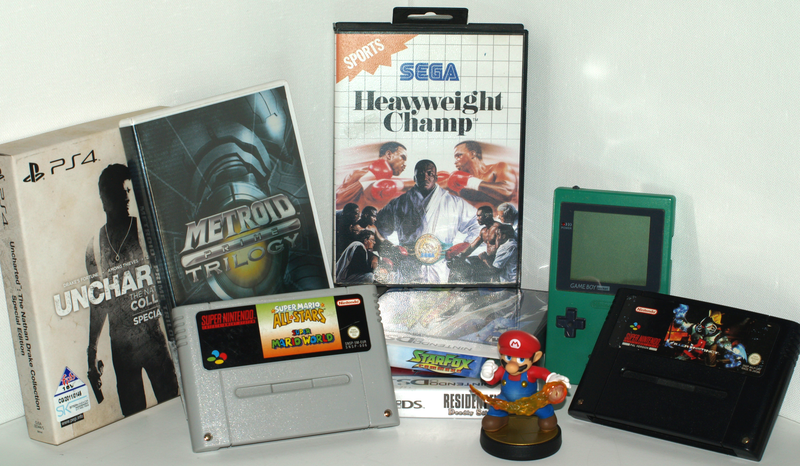 Why Collect Retro Video Games? I often get asked why I collect Retro Video games. Some people I have met find it bizarre that anyone would want “old” video games as they think anything other than the latest and greatest systems are simply junk that should be thrown away. The reasons why people collect anything differs greatly, however I think it is safe to assume that anyone who collects something has some form of personal connection to the items being collected. For me personally video games are something I grew up with and I believe a large part of the reason I collect is an element of nostalgia. Many items in my collection reminds me of fond memories when I was a child; I believe this is a reason why many people collect a variety of things, the items act as a keep sake of a time period in someone’s’ past that they have a favourable connection with. I also believe there is an element of unfulfilled childhood wish fulfilment when it comes to collecting; getting things you wanted as a child but could never have. This is a common reason for collecting video games that I have heard from many collectors. On top of all these reasons I also collect video games because I love them. I enjoy playing them and I also play and collect current gen video games, not just retro. In my opinion video games are a form of art, how can anything created with such passion and talent not be. Only in very recent times have video games started to receive some of the recognition associated with being an art form, but this has come too late for enormous amounts of items that have been branded as trash and ended up in landfills. That is why many collectors of video games see themselves as curators; saving something they love from ending up in a dump and being lost forever. I take a great deal of pleasure in owning and adding to my collection, and also to play and experience the games therein, be that a latest release or a game that is 25 years old in the same way that someone may listen to modern and classical music and appreciating both for what they are. So why do I collect video games? And why do some people collect toys or records or comic books or anything really? Because of a love for something, be that video games or toys or comics books or something completely different. So I have another PS3 download code to give away! This time it is Sly 3: Honor Among Thieves. So get your comments in before 31 October 2015 to stand a chance to win! The Legend of Zelda Hyrule Historia is a very high quality collectors’ book published by Dark Horse in collaboration with Nintendo. The book itself is absolutely beautiful, it is clear that a great deal of effort and care was taken in the creation of the book. The book is bound in a dark green hard cover and even looks like something straight out of one of the Legend of Zelda games. Regarding content, the book is a hybrid between an art book and an information guide and contains a vast amount of amazing artwork as well as detail on every single character (including all the enemies), item and weapon from the Legend of Zelda Games. One of the treasures contained in this book is an official timeline of the Legend of Zelda games, showing how the games are linked together. Prior to this book Nintendo has never officially explained how the games are linked and for a lot of Zelda fans this was a very big frustration. 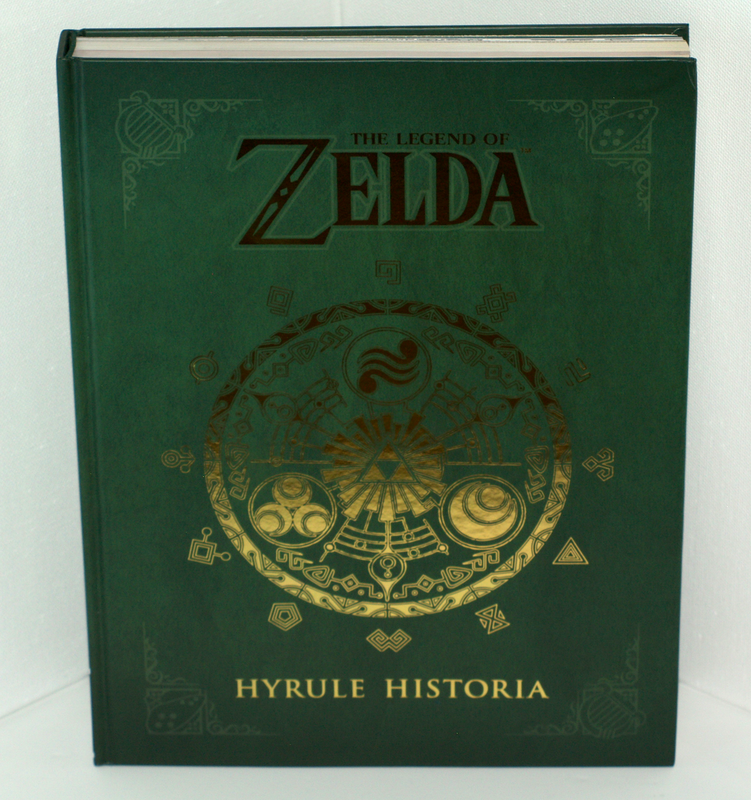 The Legend of Zelda Hyrule Historia is an example of a game tie-in book done right and will form an amazing addition to any Legend of Zelda collection. I cannot stress enough how beautiful this book is and would highly recommend it to any fan of the Legend of Zelda. I finally Uploaded my YouTube Channel Intro!